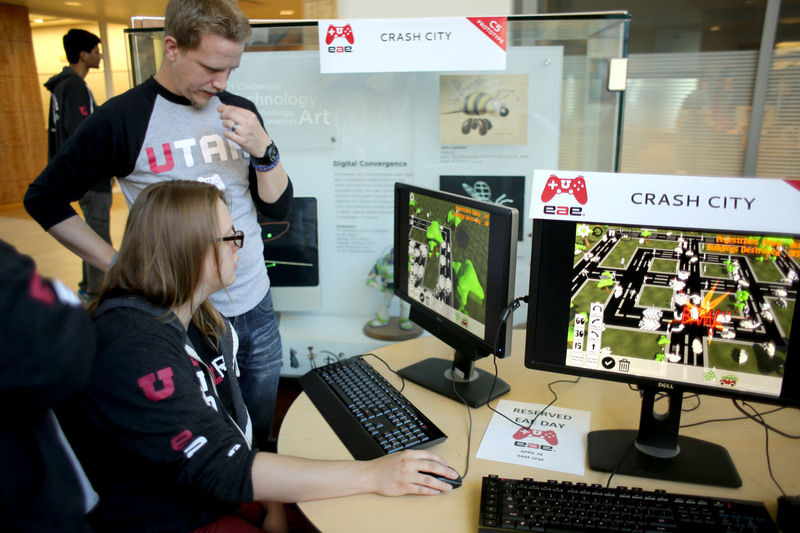 The Entertainment Arts & Engineering (EAE) program at the University of Utah is the No. 1 undergraduate school for studying game design, according to the Princeton Review, which released the rankings today. The EAE graduate program is ranked No. 3. Students in the EAE program demonstrate their games. “It’s the way we teach,” says Robert Kessler, executive director and founder of EAE and professor at the University of Utah’s School of Computing, of the program’s success. “We have artists and engineers working together, learning to think like the other side and relying on each other.” EAE associate professor Mark van Langeveld adds that the program’s project-based environment and professional facilities, including a motion capture system, also contribute to the high ranking. EAE’s programs consistently rate highly in the Princeton Review’s annual rankings of game design schools. The undergraduate program has been ranked in the top three since 2011, previously earning a No. 1 ranking in 2013. Similarly, the graduate program has been in the top five since 2013, earning the top spot last year. Graduates are hired by a wide range of game developers, and earn average starting salaries of $67,045 and $87,332 coming out of the undergraduate and graduate programs, respectively. Around one-third of undergraduate students pursue additional graduate training. 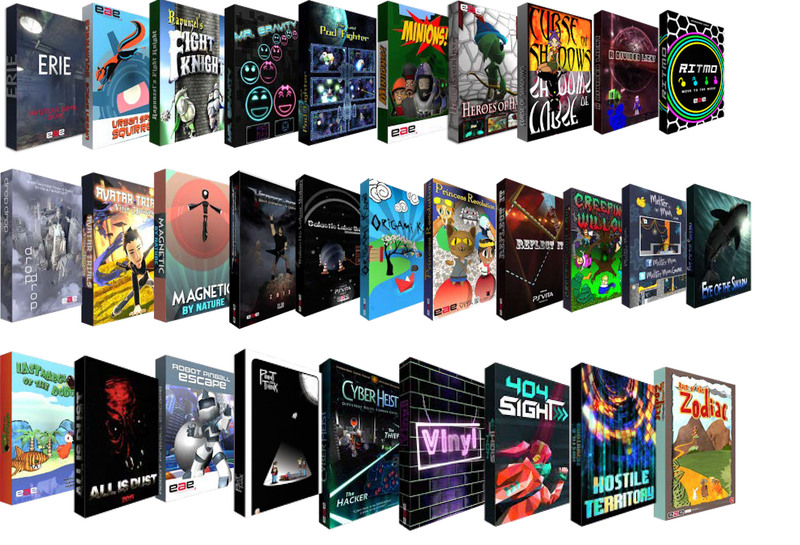 Thirty games published by the EAE program. Last year, EAE students published nine games, and plan to publish 12 more games this year. Titles include Melter Man and 404Sight, both available on Steam. In addition to designing entertainment-based video games, the program’s students also produce educational and instructional games for a wide variety of industries, including the medical field. The Therapeutic Games and Apps Lab, or GApp lab, collaborates with the Center for Medical Innovation at the University of Utah to create games and apps that remind users to take medications on time, monitor symptoms during cancer treatment and teach dinosaur physiology. Earlier this year, EAE introduced the nation’s first dual MBA/Master in EAE degree. The program will also have a presence in the U’s new entrepreneurial Lassonde Studios, coming this fall.